Hi guys. Its taken a few months to process but I am happy to say that my solo album is finally available to buy online at cdbaby.com. and to download through iTunes and other digital music sites!! There was an unbelievable amount of paper work involved – but worth it in the end. 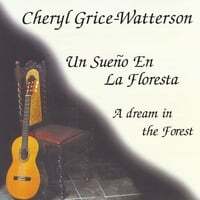 Now all you need to do is to click on the link below and it will take you straight to cdbaby.com to purchase the hard copy, or you can download tracks from the album and purchase the complete Cd as a download from cdbaby. If you prefer can also buy through iTunes at their online store, just click on the link below.